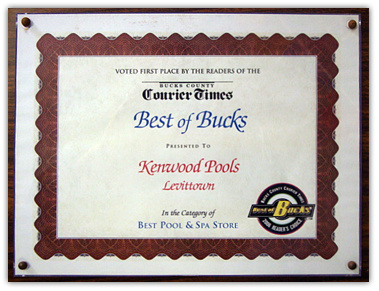 We are free standing retail store located in Levittown PA. Our outdoor display park, one of the area largest, has 6 pools of various sizes and shapes on display. 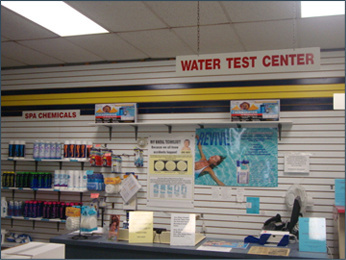 We offer our customers a complete selection of pool and spa chemicals, filtration systems, solar systems, heat pumps, gas heaters, toys , pool and spas accessories and maintenance equipment. All items we retail - we have on display. Our fully stock parts department one of the largest in the area.Our in house repair shop offers customers a choice of repairing filters and motors in a timely matter. No charge for basic diagnostics on repairs. Our "STATE OF THE ART' water testing lab. combined with expert water chemistry technicians will assure you crystal clear water. 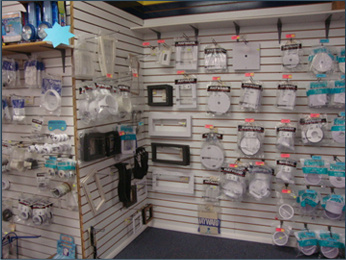 We are known our friendly and knowledgeable sales staff.We take pride in demonstrating all the choices our customers have before making a buying decision.Our stores offers a large selection of products from the most respectable manufactures in the industry , all at great savings. Our large volume assures the best price and our "OLD TIME" way of doing business guarantees a pleasurable experience. NEW FOR 2012!! We have a POOL SERVICE DEPT. Called: POOL SERVICE by Paradise Concepts LLC, Services include all Pool Openings & Closings, Equipment Installations, Pump Repairs, Safety Cover Installations, Weekly maintenace and Much More Call us TODAY for SPEEDY SERVICE 215-269-5088. Our Employees, Our Trucks, Our award winning Service!! !